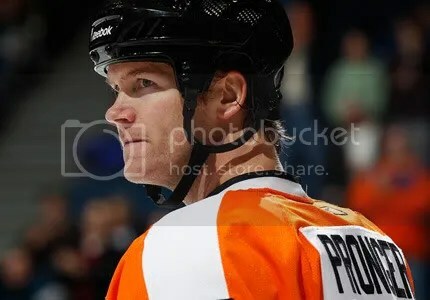 Hi, my name is Raven, and I’m addicted to HOCKEY GIFS!! Seriously, .gifs in general are the best thing the internet has invented. Somehow, the stupidest of moments caught on tape can bring such joy to my life. Recently, I was introduced to Tumblr, a.k.a. the home of .gifs. It’s such a wonderful place where I’ve found so many many many awesome .gifs. I, of course, love the hockey ones, specifically any featuring Washington Capitals players. So without further ado, I bring you some of my favorite hockey .gifs. This guy is one of my favorite hockey players ever, and, surprisingly, I’ve never featured him here on Ladies…, but that’s about to change. Welcome to Ladies…, Troy Brouwer. 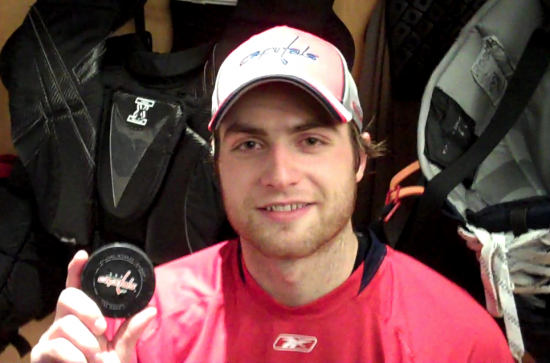 You are now officially a hockey hottie! Warning: hot goalie without a mask! Let's relive the best part of the 2011 Stanley Cup Final, shall we? Given that this hasn’t exactly been the happiest of NHL offseasons, I feel a bit conflicted about being excited for the forthcoming 2011-12 season. With every that has happened since June, doesn’t it seem like a lifetime ago that the Bruins proudly hoisted their first Stanley Cup since the 1970s? Time to accentuate the positive with our NHL Preview. We begin today with the Northeast Division. 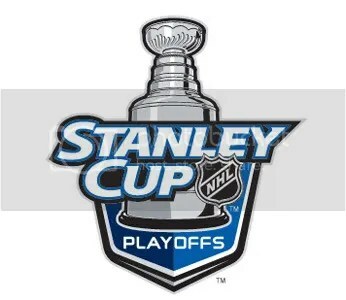 It’s the 2011 NHL Playoffs, you guys! Happy Monday, readers! Just a quick hit until I can write something more substantive tonight, as I couldn’t let this one slide. The talk of last night’s NHL Heritage Classic outdoors at McMahon Stadium was not about the crummy ice, Metric’s chilly halftime second intermission performance or Kipper’s shutout – at least not at my house. 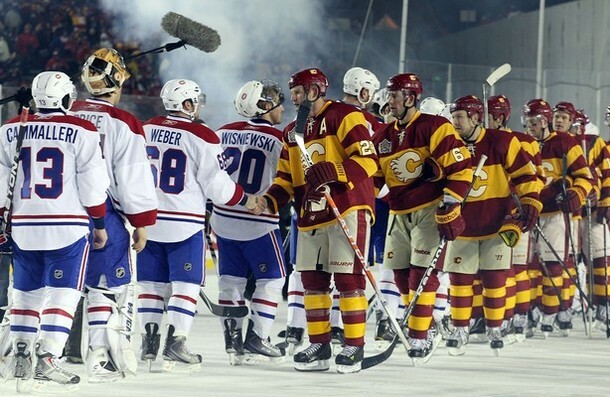 No, the talk was about Calgary’s unis, which may or may not have been channeling some sort of wizardry. Seriously, isn’t the cut on those jerseys bad enough without dipping it into the ugly bath? Like us…you know you want to.